For the first time anywhere, master Occultist Carl Nagel reveals a COMPLETELY NEW system of Egyptian Magick, that cannot be found anywhere else! Combining the Black Magickal forces of TWO of Egypt's most powerful Dark Gods, Nagel's Apsetus System is breath-taking in both its execution and effectiveness, and provides arevolutionary new way of working with the centuries-old powers of the Nile. Within this remarkable book, you will learn the true secrets of the art of Assuming and using Egyptian God-forms; an advanced, yet easy to master technique, which is rarely seen outside of ultra-secret Occult orders. This single technique is so powerful that you can FEEL IT WORKING! 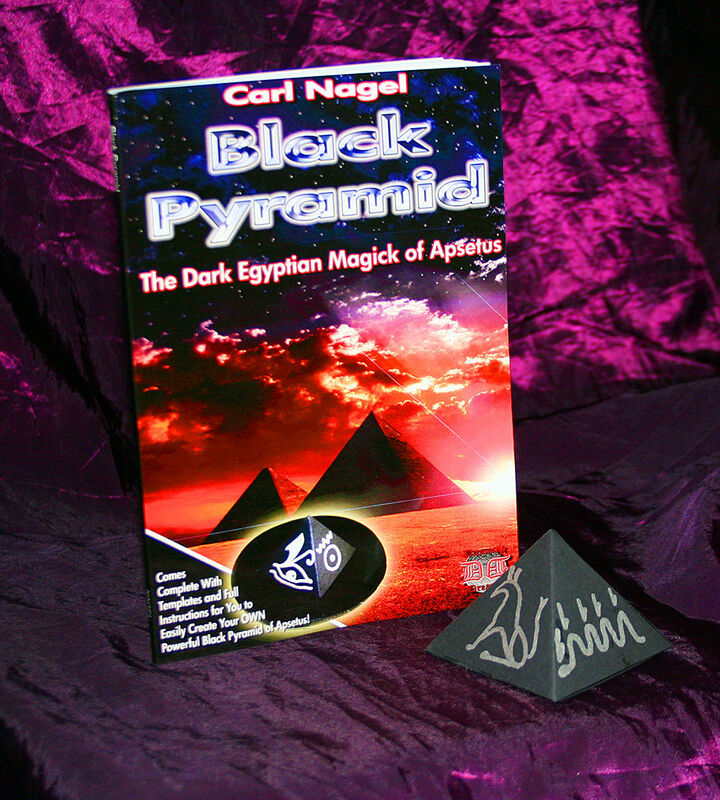 Not only does this system of Magick effectively link you to both Set and Apep, but you will also learn how to construct a massively-powerful Black Pyramid, which will empower each of your Magickal Rites with forces direct from the underworld of the Gods themselves. Whatever your aim in life, you will find an easy-to-use, yet astoundingly powerful - Ritual, to help bring it into being, within these pages. We can confidently claim that the material you will find here is so powerful and unique, that it CANNOT be located anywhere else! Once you begin to work with the astounding forces that you will be taught to command, with the aid of your Black Pyramid, you will understand exactly why this system - and others like it - have been kept secret for so many centuries.